I’m planning a seven-week trip to Europe beginning in late August 2018 with the Historical Novel Society’s Annual Conference in Glasgow, Scotland, followed by guest appearances at book groups throughout Italy, and ending mid October at the Frankfurt Book Fair where I’ll pursue the sale of foreign rights to Botticelli’s Muse to publishers outside of the U.S. Along the way, I’ll be holding a few one-day workshops for locals to uncover their writer’s voice. 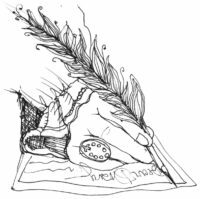 We’ll write from prompts that catapult them into a fictional space or bring them back to a very personal time which could spark a desire and confidence to write a short story or a memoir. Until I launched this plumfund campaign, this itinerary was merely a dream. But now my generous contributors have helped me to narrow the gap between my dreams and reality. On July 11 @ 2 p.m. we closed the gap and reached our goal of $5,000.00! —four days before the campaign’s conclusion on July 15. And folks have continued to send contributions so we have exceeded our goal! Any contributions beyond our original goal will help us face those unplanned expenses that can suddenly crop up out of nowhere when traveling: extra luggage costs, taxis, health emergencies, necessary side trips, lost equipment, and the list goes on. Your contribution will go to that emergency fund to give me a bit of a buffer of comfort when/if I encounter the unexpected.